I highly recommend their care, they take very good care of the residents, we have been very happy with my wife's care, she's been there for a number of months now and she will likely be there indefinitely. They take good medical care of their patients but also really good personal care. Her hair is always brushed, she is nicely dressed, the bed is made each day, and her nails are painted. They don't cut corners, they give the type of care I would provide at home. It was difficult finding a place to have our mother go to, but when I walked through the doors, I thought of home. Everyone is friendly and very considerate of their patients. I feel they are well taken care of. It's family run and it feels like a family when you're there. They know who I am when I go to visit. They take care of things. There are no troubles. 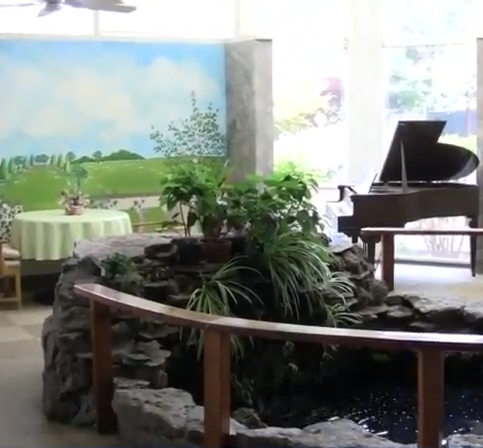 Marin Convalescent & Rehabilitation Hospital is a skilled nursing facility providing 24-hour nursing services, hospice care, short-term respite care, and diverse programming that embraces individual needs while encouraging mental stimulation and personal growth. Residents enjoy and benefit from the company’s comfortable, home-like surroundings. Areas Served: Serving all of Marin County including Mill Valley, San Rafael, Novato, San Anselmo, Corte Madera, Belvedere, Tiburon, Larkspur and Fairfax. 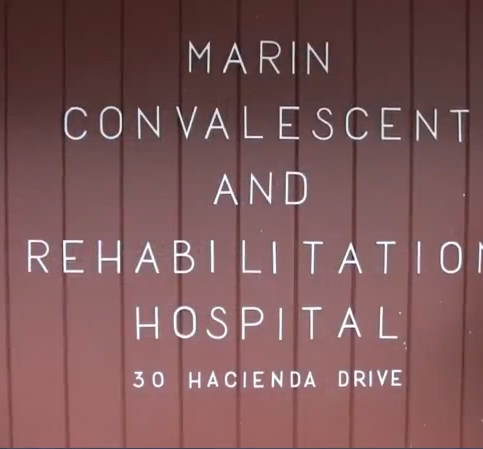 Marin Convalescent & Rehabilitation Hospital has been at the same Tiburon location since 1958. 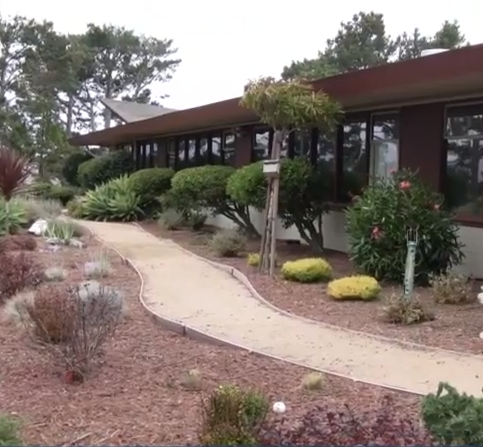 Marin Convalescent & Rehabilitation Hospital has been providing senior citizens with short- and long-term care, 24-hour nursing care, and hospice care at its Tiburon facility since 1958. The company offers its residents a variety of specialized services, including daily living assistance, mind and body activities, stroke rehabilitation, and more. The big squeeze on subsidized healthcare. As California-subsidized healthcare programs are feeling the pinch, increasing prerequisites are making it more difficult for individuals to qualify for coverage—especially those who are seeking admittance into skilled nursing facilities. 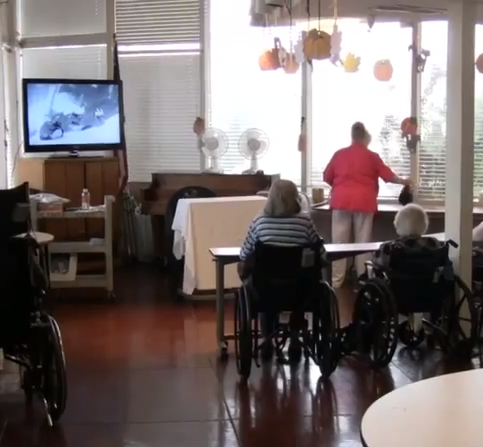 The Medi-Cal and Medicare programs that provide coverage at these facilities cost the State a lot of money, which is why it’s in the government’s interest to keep as many people as possible at the assisted living level, where the level of care is lower and funding tends to be private. Since the median cost of a skilled nursing facility virtually doubles that of an assisted living facility, the average person can seldom afford this higher level of care without assistance from a State-mandated healthcare program. If you need to seek assisted living care for your loved one, it’s crucial to plan ahead and consider your options. Having all the pertinent documentation organized and ready for submission is also important, as the application process for Medi-Cal and Medicare programs can be arduous. With organization and tenacity, your loved one will be more likely to successfully qualify for coverage. If you’re unable to obtain government-subsidized funding, look for an assisted living home that provides a more advanced level of care, as this may be the next best thing to a skilled nursing facility. Q: What level of care do you provide for your residents? A: We take care of everything at the skilled nursing level. We also provide some lower level care for patients suffering from Alzheimer’s or dementia, but our main focus is attending to residents who have medical needs that require them to be in a nursing facility. We also offer physical therapy, occupational therapy, speech therapy and other rehabilitation services. Q: What are the main requirements someone must meet in order to stay at your facility? A: The main prerequisite for admittance into our facility is a doctor’s order recommending the person for residence in a skilled nursing facility. A: We accept some forms of long-term care insurance, but we’re primarily a private-pay facility. We can help people obtain insurance, but there’s no guarantee it will pay for the care, so we always tell people to check with their insurance companies first to make sure they cover the level of care we provide. A: We don’t have a set schedule for visiting hours. A lot of our residents have private rooms, so their friends and relatives can visit any time. We know our residents don’t get out too often, so it’s very important for their family and friends to be able to visit when the opportunity arises, and we do our best to accommodate that. Q: Do you require your residents to stay for a certain amount of time? A: Yes, we require a minimum stay of 14 days. That allows us to cover the expenses of admitting people and setting up their care plans. We can negotiate this amount of time if there are special circumstances, but the typical minimum stay is two weeks. Q: Do you run errands for your residents? A: Yes. Our job is to make sure our residents have everything they need, so we’ll pick up their medication and run various other errands to ensure their comfort. 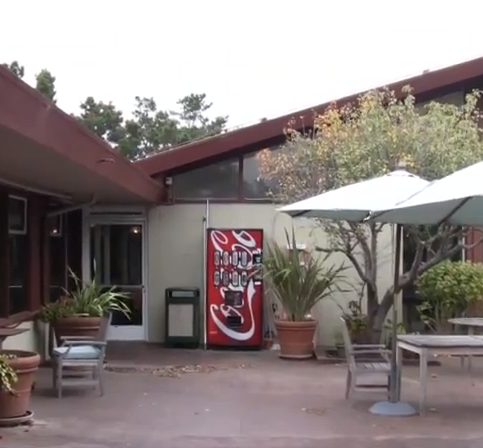 Marin Convalescent & Rehabilitation Hospital’s Tiburon facility features natural surroundings. Debbie Allen is office administrator at Marin Convalescent & Rehabilitation Hospital, a Diamond Certified company since 2012. She can be reached at (415) 878-3188 or by email. When she’s not working or sunbathing on a far-off beach, Debbie can often be found hiking with her husband, Ken, and their French poodle, Cosette. “We love to be outdoors and do a lot of hiking, whether on local trails or at state parks like Yosemite.” In addition, Debbie and Ken enjoy showing their support for local sports teams like the San Francisco Giants and 49ers. A: It’s a tie between Toast and Hilltop 1892, which are both in Novato. Q: Which of the Golden Girls do you identify with most? A: Probably Sophia, which is fitting since she’s the oldest of the group. A: I collect seashells and sand from the beaches I’ve visited. A: Anything chocolate or lemon-flavored. A: I’m actually both, or, as I like to call it, a non-sleeper. Statistically, more people are injured in their bathrooms than in any other room, so that’s a good place to start. First, remove all rugs and mats—they can cause an elderly person to trip. Install grab bars in the shower and alongside the bathtub and toilet to make these fixtures safely accessible. Finally, if you have a low toilet seat, purchase an adjustable seat riser to accommodate accessibility needs. Another aspect of in-home safety is nighttime monitoring, as injuries can occur when an elderly person leaves their bed in the middle of the night. One option for monitoring nighttime safety is a clip alarm, which can be attached to pajamas. When the person gets out of bed, a magnet is released and activates an alarm. 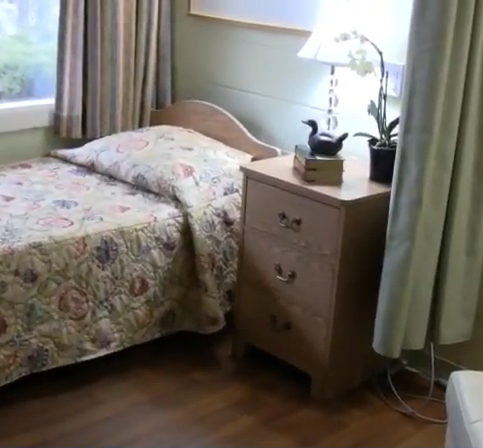 Other options include a sensor pad placed underneath the bedding and a floor sensor alarm, both of which alert a caregiver when an elderly person has left the bed. By addressing these and other aspects of home safety, you can create a living environment for your loved one that’s both safe and comfortable. Diamond Certified Expert Contributor, Debbie Allen: One of the most common problems with the elderly is trip and falls, and also mobility issues. We have removed rugs from the bathroom because that’s one of the most common places for them to trip. And then also, we have installed grab bars. You can have a local contractor install them for you. And this is one way for them to easily get on and off the toilet. Toilet seats are often too low for the elderly to get – easily get on and off the toilet. This is a simple solution. You can purchase a toilet seat riser from any medical supply company, position it directly over the toilet, and it also has adjustable legs so that you can raise or lower [it] to accommodate different needs. If you’re concerned about the person that you’re caring for getting out of bed in the middle of the night and you need to be alerted, there are some options for you. The simplest one is called the clip alarm, and you attach this to their pajamas. And when they get out of bed, a magnet is released, and an alarm is activated. Another option is a thin sensor pad. It’s positioned underneath the bedding. And when the person moves out of bed, an alarm is sounded, and it has alerted you that they are out of bed. This is my personal favorite. This alarm is on the floor. It allows the person to move around in the bed freely; however, if they swing their legs over and touch the floor with their feet, an alarm is sounded. You can find all of these alarms on the internet. 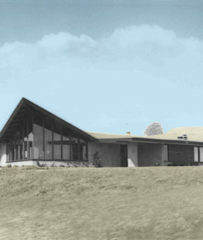 Marin Convalescent & Rehabilitation Hospital : Average 8.8 out of 10 based on 69 unique customer surveys of customer satisfaction. They have medical on staff which is invaluable. The right place for the right reasons, here with my dad right now. Fabulous nursing staff, they are always on point, clean and I would put any of my clients there. That is where my husband was sent and where he passed away. I don't know. I was everywhere else with my husband's health. I like the staff, they do a great job. They don't take Medicare. Otherwise it was a very bearable experience. The nurse, Nancy, and the front desk person Debbie, those two are what made our experience bearable. They care for a family member and when I go there they seem happy. I like the staff most, they are personable. I would say the facility has a good staff and it is very clean. I like that if there are any issues that come up, the management deals with it right away, and to your benefit. I think it was a very friendly place, very cozy, and the staff were kind. It has a homey feeling to it. When we arrived, the doctor was waiting for us in my family member's room, and was so welcoming and reassuring that we had found the right place for him to recover. I liked that the place felt cozy. If you can't bring your family member home with you, then Marin Convalescent feels like the next best thing. It's very pretty and friends could come to visit, and they could sit outside and eat their lunch and visit. It was very important for my family member to feel like he could be with his family and friends while he was recuperating. I would say that they're very caring and professional. I like their professionalism and how caring they seem. I would tell them that the quality of the care and the attentiveness was very high. I really liked the amount of individual attention they gave to my family member. I would recommend them. I could go on and on about them. I would tell friends that the people there were really marvelous and treated us extremely well. I can't really say enough. They were really great. Probably the quality of the people I dealt with, they were just so kind. The situation that most people are in when their family member is in there is a very unhappy one, but they made it about as good as they could. The people were great. The facilities were really nice too. I actually have to say I've told others that it's probably the nicest facility of nursing homes that exists, maybe in the whole Bay Area. I think really highly of Marin Convalescent. They have the reputation as being the best around. I was very happy my wife could go there. It's a place I feel very good about. They have a really kind staff. Everybody knows each other and the staff stays on year after year. I like the people. They're very kind. They're a small-scale operation. The staff is very stable. They have been there a long time. They don't have a lot of turnover. They really knew my mom and took care of her. I didn't have to constantly remind them of her specific needs. They knew what to do. It is family owned, and they run it very nicely. You are not dealing with a corporation. The owner is right there on the property, and if I have a problem, I can talk directly to him. The quality is high. The facility is clean. It doesn't smell. My mom gets good meals. The nursing staff is good. Just that my mom doesn't feel like she's with strangers, it's more like a home than an institution. They do their best. There are good people working there. They take good care of the patients and try to keep them comfortable. They are always clean, and the staff is careful and patient. They keep in communication with the family. They make the life of the family relaxed, because you can see that they take good care of your relative. I personally could not fault them with anything. They are excellent. It was not like a hospital per se, but more like a home.